A member of the iOpen Group, iCare answers the needs of specialist medical practitioners with VRM solutions for their business. 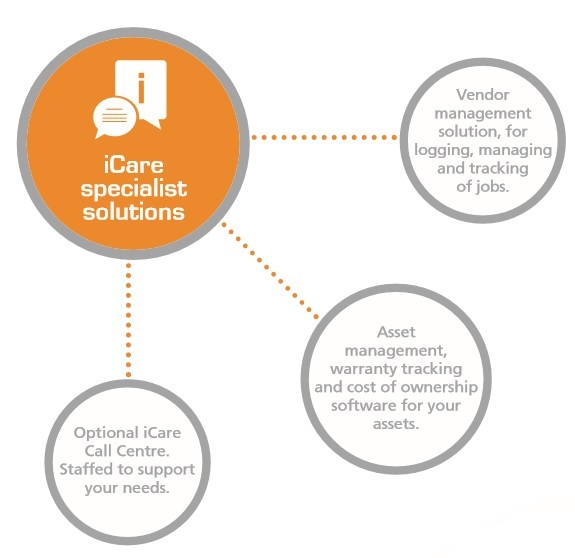 Geared to manage third party and internal vendors with ease, iCare consists of proprietary software and systems to provide the simplest, most appropriate vendor relationship management (VRM) solutions. All systems are built on a platform of quality, agility, and the capacity to improvise. Both professionally run and high-tech, our software solves client problems, and our optional call-centre environment also has a relaxed, low-stress atmosphere for enhanced agent/caller engagement. 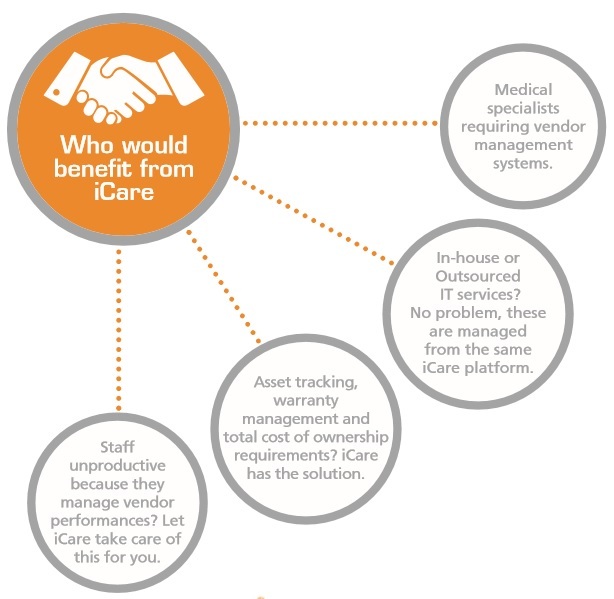 The iCare approach combines various elements critical to answering the needs for effective vendor management. Select the appropriate software solution, with easy access to log jobs online 24×7. Automate the vendor notification process, for full track and trace functionality. Actively manage vendor performance through regular monitoring and review of KPI’s. Evaluate and manage vendor relationships to ensure your long-term client needs are met. iCare gets things done. We believe our ability to design systems to enhance and track productivity is key to success. Our track record of improving productivity and response rates within a short period is one of our stand-out features. Our system records, manages and tracks some 11,000 logged jobs per month, every month. We will improve systems efficiency and the quality of delivery and enhance customer satisfaction, as well as improve key performance areas. Done to understand and evaluate client-specific requirements. If required iCare can develop bespoke software. iCallCentre team who can manage your vendor activities on your behalf.